Sir David Adjaye OBE’s latest exhibition at London’s Design Museum asks us to consider what constitutes a monument or memorial today. Making Memory is a provocation that hopes to elicit a collective questioning of imperial ideas of such structures that sanctify a single vision, individual or event and instead view them as an opportunity to contemplate both personal and societal experiences. How can architecture help us to better engage with spaces – and each other - in new and open ways? The exhibition includes seven projects chosen by the much-lauded British Ghanaian architect that thread this form of inquiry together, one that has shaped his practice for over a decade. They include relatively small endeavours – what Adjaye calls “monuments of the every day” - such as the Gwangju River Reading Room. This pavilion was created in collaboration with author Taiye Selasi to remember the 200 students who died in the Gwangju Massacre in 1980 and to encourage the city’s citizens to discover a curation of books about equality and human rights. 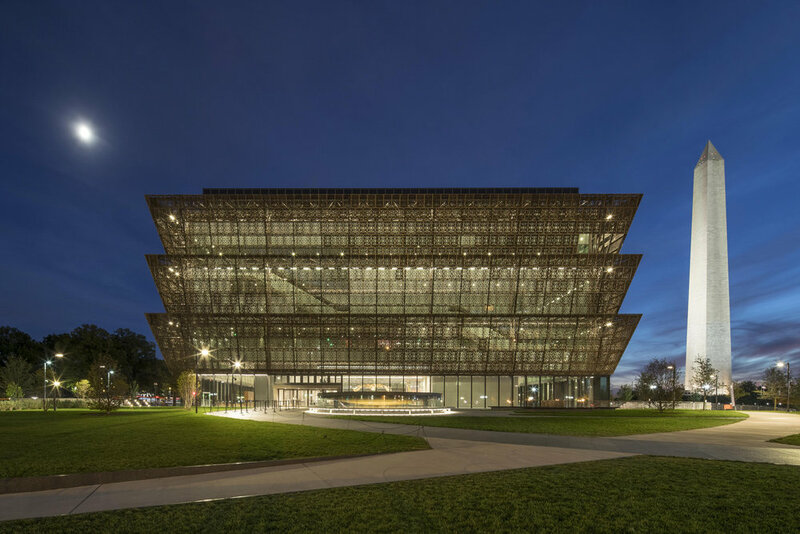 On the other end of the scale is the award-winning Smithsonian National Museum of African American History and Culture in Washington D.C. This three-tiered bronze building, or corona, symbolises the African American influence upon US identity and takes inspiration for its core form from Yoruba sculptures. Meanwhile the ironwork on its façade honours the African slaves of the southern states who were adroit at this form of craft, and the bas reliefs of the Royal Palace of Benin. 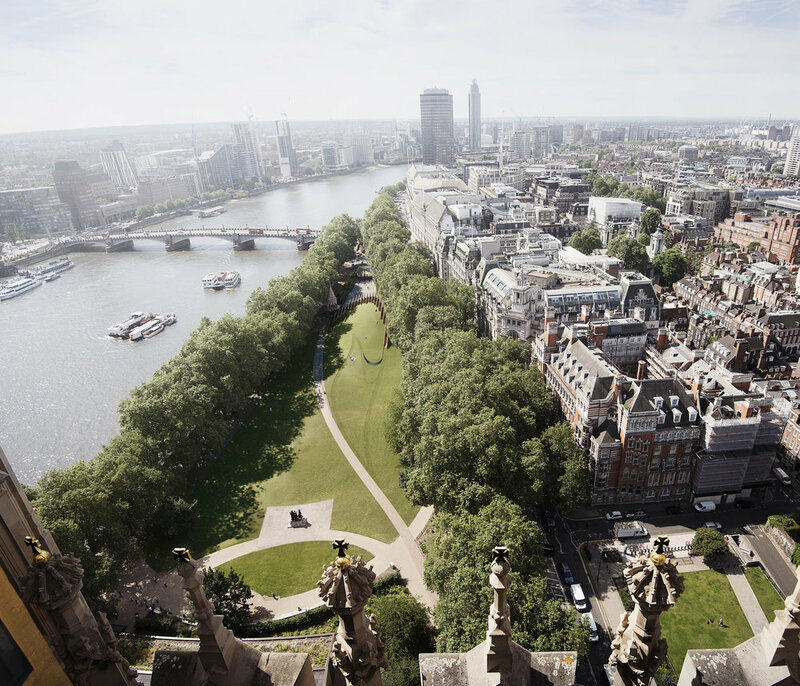 Some of the other projects presented are yet to be realised such as the UK Holocaust Memorial and Learning Centre, which will transform a landscape in central London into an immersive journey through which visitors can reflect upon persecuted peoples. The proposed Coretta Scott King and Martin Luther King Jr. Memorial in Boston, the city where the couple met, is envisioned to be a black stone overlook and series of sculptures engraved with their speeches, most notably King’s last, ‘I’ve Been to the Mountaintop’. And the National Cathedral of Ghana in Accra – due to be complete by 2024 – will bring Christianity and local beliefs together into a multi-functional auditorium where up to 15,000 people can gather for celebration and mourning. Adjaye took his cues from Akan stools, Adinkra symbols, ceremonial umbrellas and the traditions of tabernacles to design the cathedral’s canopy-like structure. Each project tells its own story about times past while promising to help shape 21st century cultures and forge dynamic pathways toward future understandings. Here Adjaye talks about some of the underlying ideas of the show.